Kenya’s security chiefs were under mounting pressure Tuesday to resign after Islamist militants carried out another brazen attack, with the government accused of ignoring an increasingly sophisticated threat from Somalia‘s Al-Qaeda-linked Shebab. The Islamist group said its fighters carried out two nights of carnage that have left close to 60 Kenyans dead in a town and villages along Kenya’s coast, before they “returned peacefully to their base” without a single arrest being made. Criticism of the government response has been stinging. The Law Society of Kenya said security forces were either “incompetent or incapacitated”, and called for the resignation of police chief David Kimaiyo and the increasingly unpopular Interior Minister Joseph Ole Lenku. Newspapers warned that people were terrified and that the country’s tourism sector, a pillar of east Africa’s largest economy, was in tatters. “The government’s response was lacking in clarity and, in parts, bordered on the ridiculous,” the Daily Nation newspaper said, criticising Lenku’s charge that attacks were the “product of political incitement”. The Standard said it was incredulous at the scale and extreme violent nature of the attacks, the worst since last September’s siege of the Westgate shopping mall in the capital Nairobi, in which 67 people were killed. “How could a gang of 50 heavily armed gunmen gain access into the township without being intercepted by security forces?” it asked. Security experts say leaders have been more focused on domestic politics, as well as fighting crimes against humanity charges at the International Criminal Court (ICC) for President Uhuru Kenyatta and his deputy William Ruto. “Despite the clear danger, Kenya’s security has taken its eye off the ball, partly distracted by issues such as domestic politics and the ICC, but also a sheer head in the sand approach to the scale of the problem they face,” a Western security source said. Security experts say Kenya has is own dangerous cells of homegrown extremists, independent but with similar ideology to the Shebab in neighbouring Somalia. But heavy handed police operations on the coast — with Muslim communities accusing the government or extra-judicial killings of radical clerics — have enraged many, as have the round-ups in the capital of ethnic Somalis and Somali refugees. “The state’s response to insecurity is ad hoc, and the operations put in place have violated human rights,” said George Morara of Kenya’s National Commission on Human Rights. Attacks are increasingly sophisticated and outsmarting a security forces riven by divisions within the multiple agencies. Similar concerns were raised after last year’s attack on the Westgate mall, but security changes were cosmetic at best. 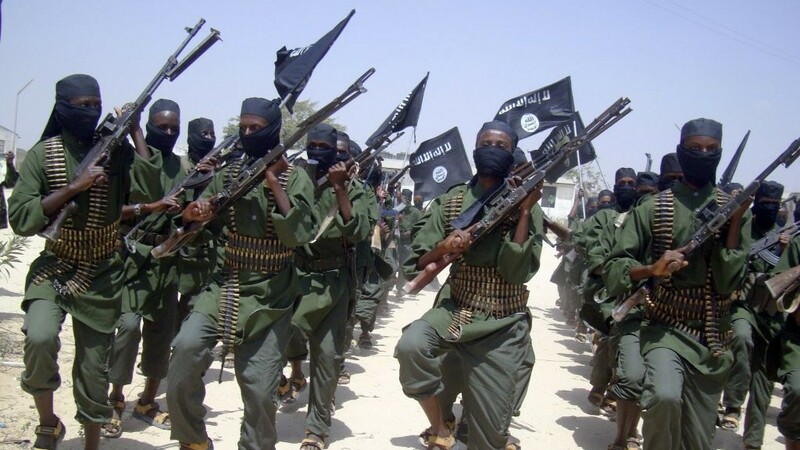 “Security in general is going in wrong direction,” a Nairobi-based diplomat said, pointing to both a sharp rise in violent crime as well as the new, complex terror threat from the Shebab. “It was disgraceful that the attackers could rampage for hours and the security service did not arrive until the next day,” The Star newspaper said. The nature of the threat is shifting too. Kenya has suffered a spate of attacks since its 2011 invasion of Somalia, which prompted Shebab warnings of revenge. Some Kenyans on social media have made calls to “bring back our soldiers” from Somalia, where they provide a key part of the 22,00-strong African Union force, demands dismissed by politicians and the army. “Recall of troops will only give Al-Shebab false victory,” army spokesman Major Emmanuel Chirchir said. Early attacks were largely confined to small ambushes, homemade bomb or hand grenades, targeting poor areas of Nairobi and Mombasa, as well as the remote northeastern border region with Somalia. But the insurgents have now shown a far more dangerous side. An unexploded car bomb found in the port city of Mombasa early this year was “of the level of sophistication” not seen before in the region, diplomats have said. But others warn that replacing leaders will not address years of corruption that have left security services rotted to the core. “The fact is that Kenya’s institutions are so corrupt that the large funds allocated over the years to security have been largely squandered,” Sir Edward Clay, former British high commissioner in Kenya, wrote in a recent report for the Royal African Society. “Its citizens are effectively swindled twice: their taxes stolen while their security is not one whit improved, leaving them exposed to violent criminality and terrorism,” Clay added. Posted on 17th June 2014 by newsafrica. This entry was posted in Africa, African Security, al Qaeda in Africa, Al Shabab, Kenya, Mombasa Terror Threat and tagged al-Qaeda, Al-Shabaab, Kenya, Lamu, Mpeketoni, Nairobi, Somalia, Uhuru Kenyatta. Bookmark the permalink.